Pujols is followed by Robinson Canó, of the Metros, with US $ 24 million. 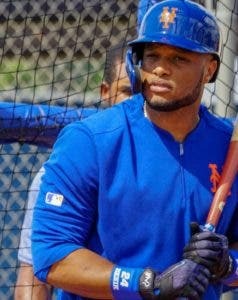 Robinson Canó will have salary of US $ 24 million in Mets. In the past season Canó lost in salary US $ 11,741,935, due to the suspension of 80 games for testing positive for steroids. 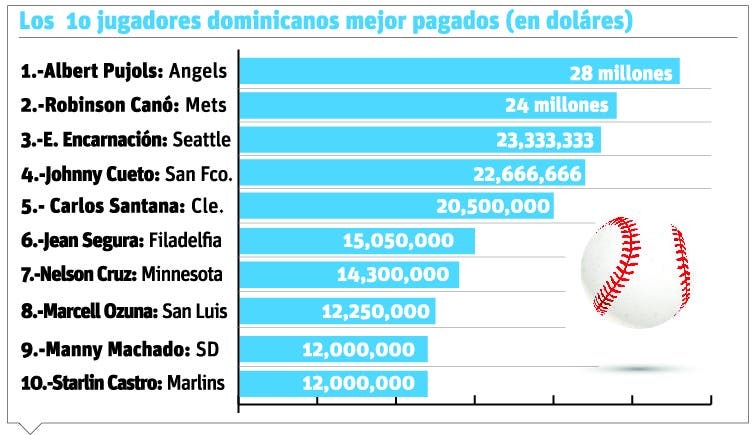 In the list of the best paid continues Edwin Encarnación , Seattle , who will earn US $ 23,333,333, being the final amount of the pact that for three years signed in 2017 with Cleveland. The team has an option of US $ 20 million, which if not exercised, will convert Encarnación into a free agent, but it will have to pay US $ 5 million for not executing it. The right Johnny Cueto will earn US $ 22,666,666 with the Giants in the fourth year of the contract of six that he achieved in 2016. Cueto last year was limited to just nine starts, and this year he started on the disabled list for 60 days. Third baseman Manny Machado will earn US $ 12 million this season, from the US $ 300 million contract he signed this year with San Diego. From the next campaign his salary will rise to US $ 32 million per year.